The first holiday decorating project of the season is always filled with anticipation and excitement. And our first project of the season was no different. During the summer our clients changed their whole backyard, as well as portions of the front, with our help. Adding a beautiful fence, new plants, trees, shrubs, new walkway and driveway, amazing flagstone patio, a fireplace by the seating area, and a water feature. It was a big project needless to say, that had its own roadblocks and hurdles. When it neared fall, we started to discuss holiday decorating ideas with the clients. At the forefront of the design consultation was symmetry, which would compliment their lovely home. They also wanted a classical, elegant look that was also cost efficient. Perfect! we thought. 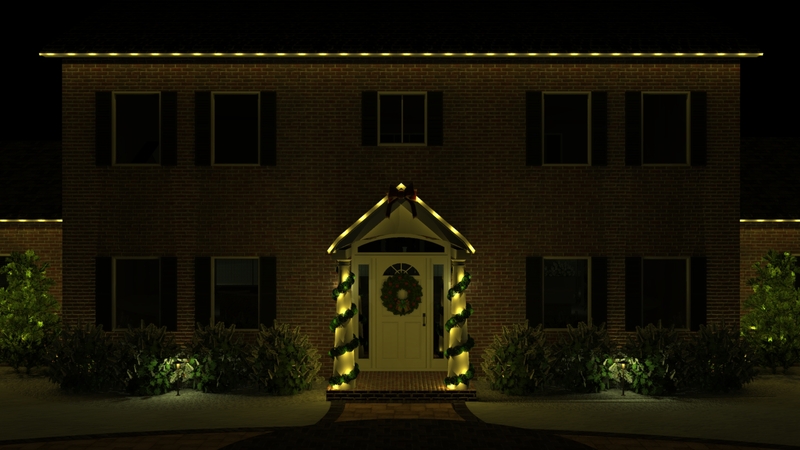 Initially we added lights and other holiday decorations to the existing 3D model we had from the landscaping project. The 3D model is pictured above (and a close us below); which gave us an idea of what the lighting would look like prior to installation. We made some minor tweaks and adjustments from design to installation, but overall our original plan worked well. 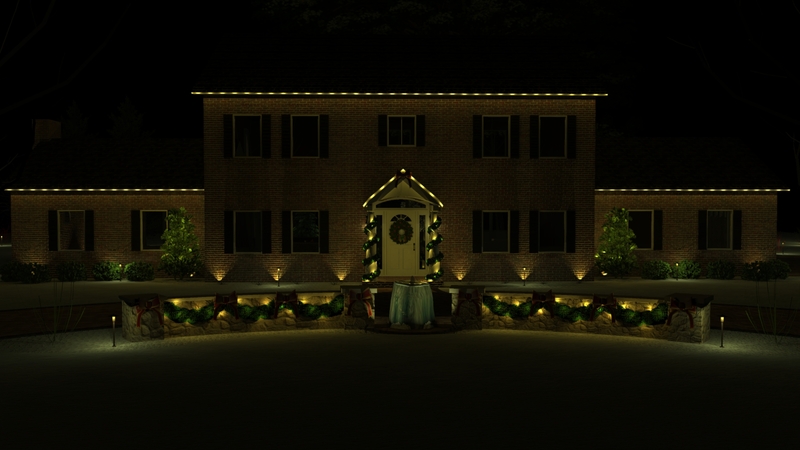 We used what the clients wanted; a classical and elegant look that was cost efficient (we use LED lights), along with our knowledge of what would compliment the home. Our first holiday decorating project of the season ended up being a hit with the home owners and in the neighborhood..and maybe with us too. We will service the lights during the season (if needed), take down the lights when winter is over (not even close! ), and then store the lights in our secure location. 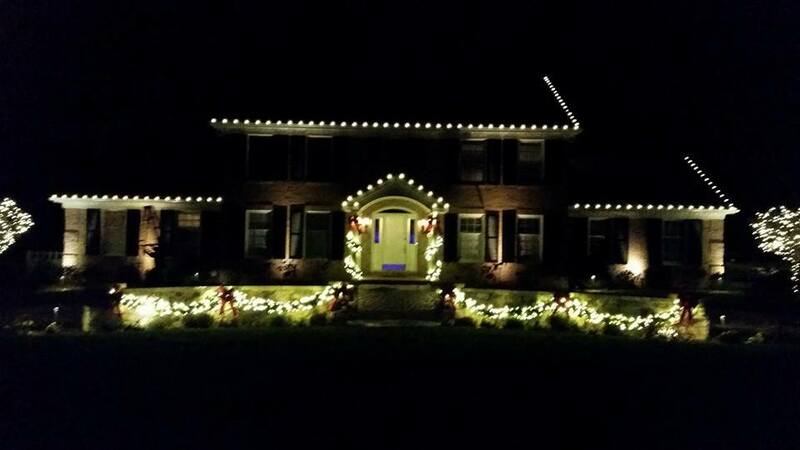 The clients are very happy with how the project turned out, and how full service our holiday decorating actually is. Nothing makes us more pleased than happy clients!